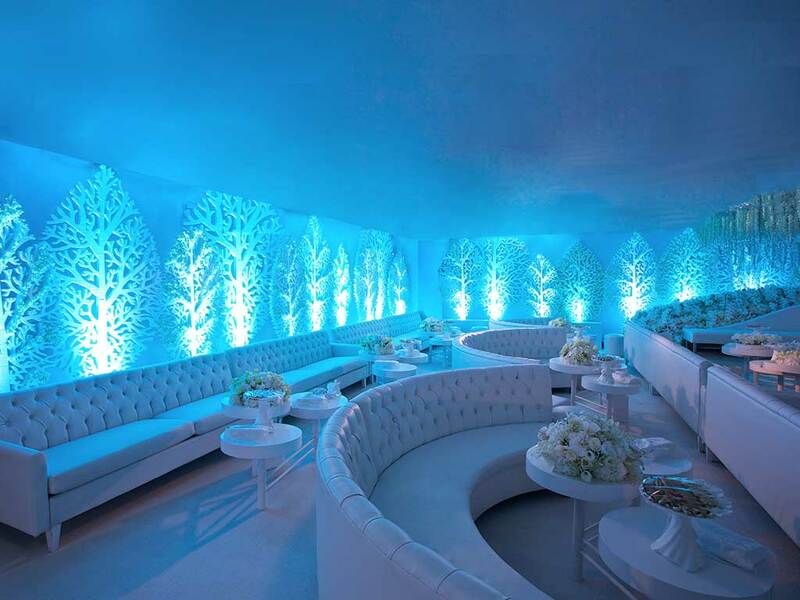 Our first aim was to emphasize the romance of a reception under the stars by adding twinkling white lights to the ceiling. 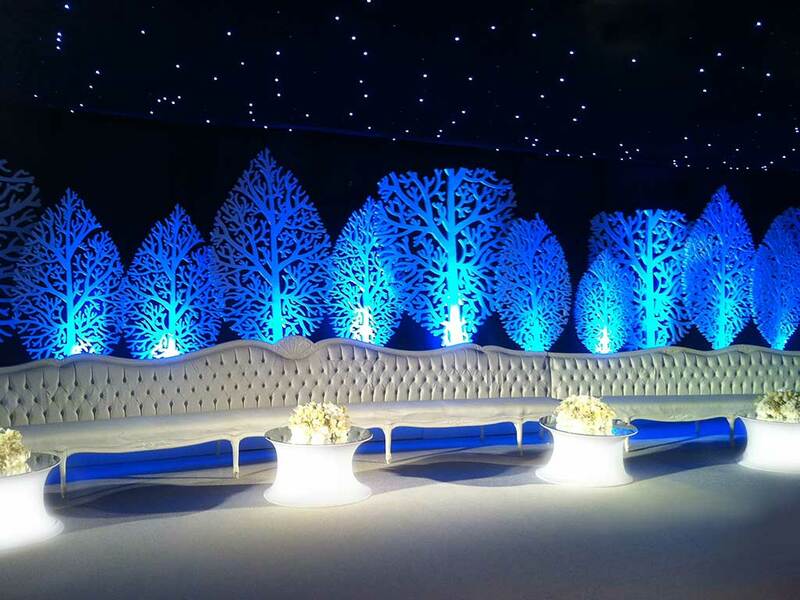 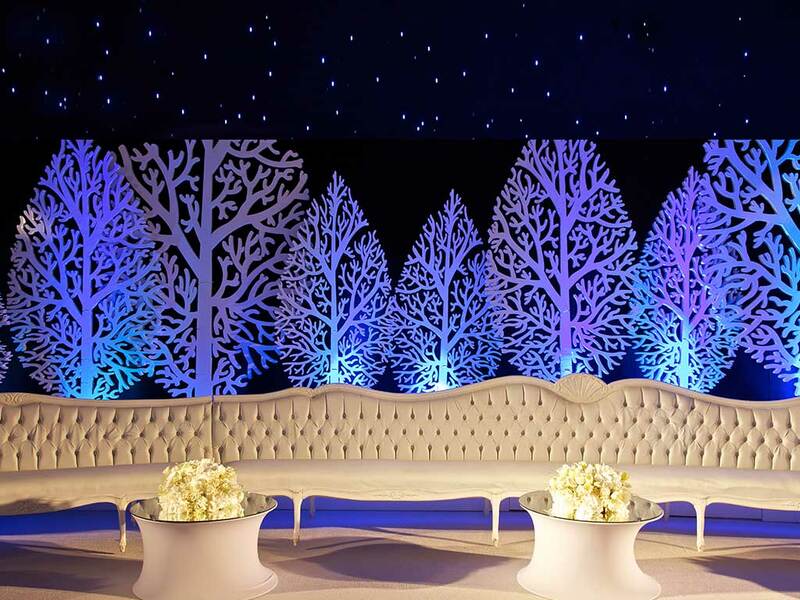 And the blue lights under the trees are a festive way to add magic to the atmosphere. 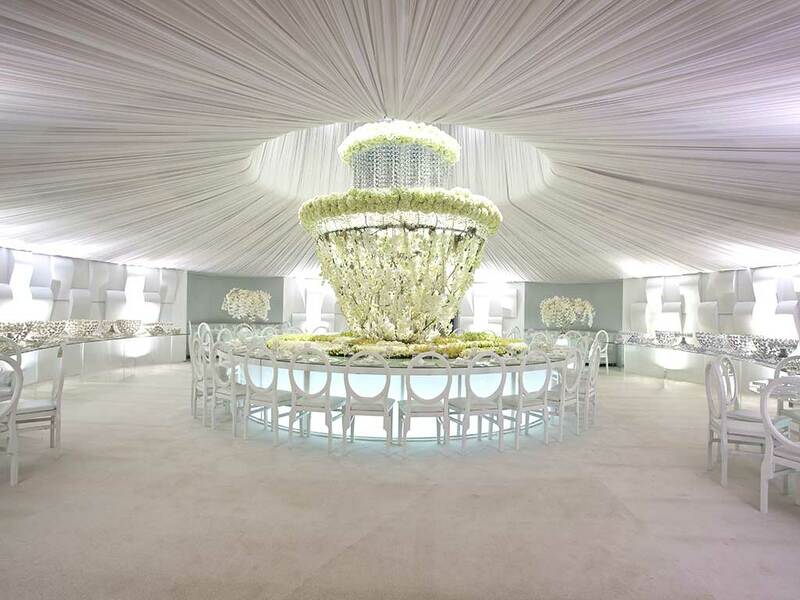 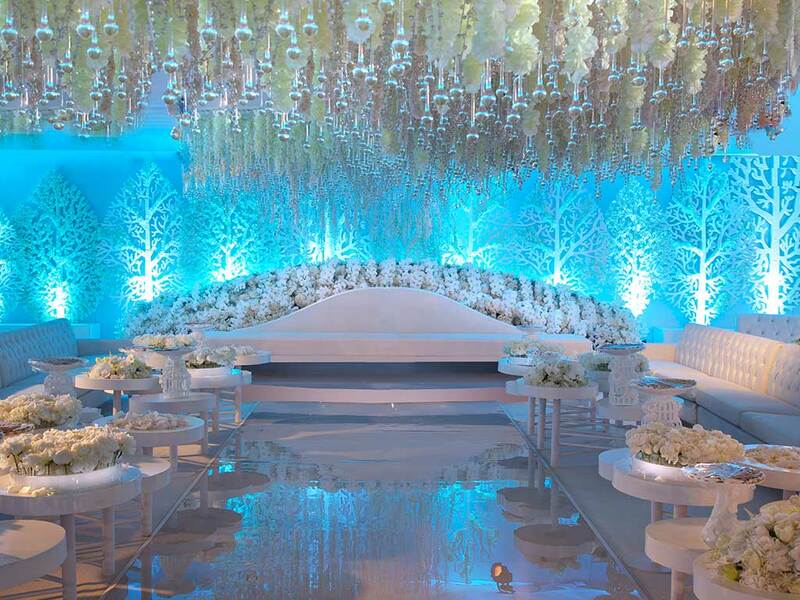 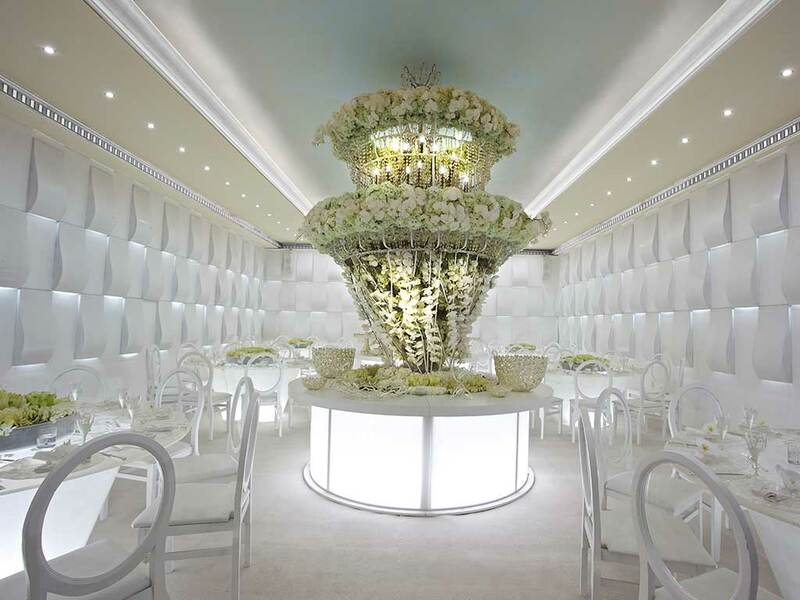 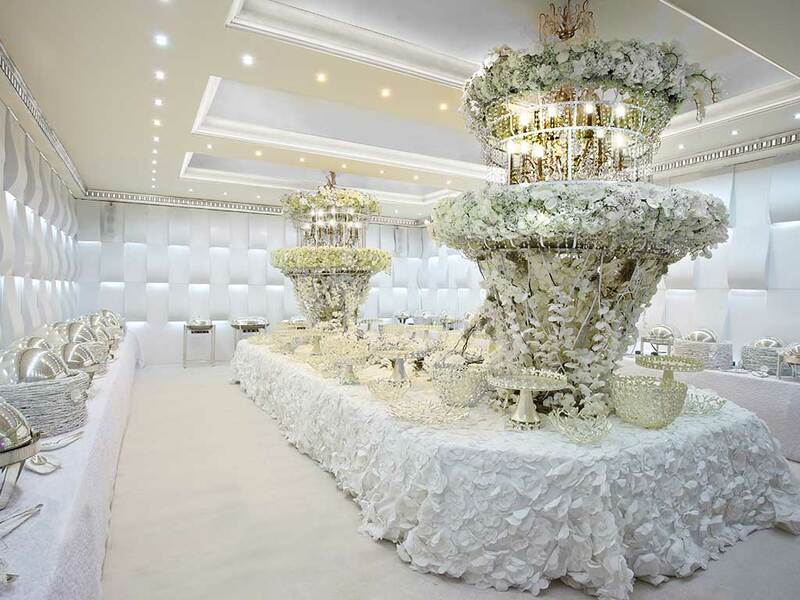 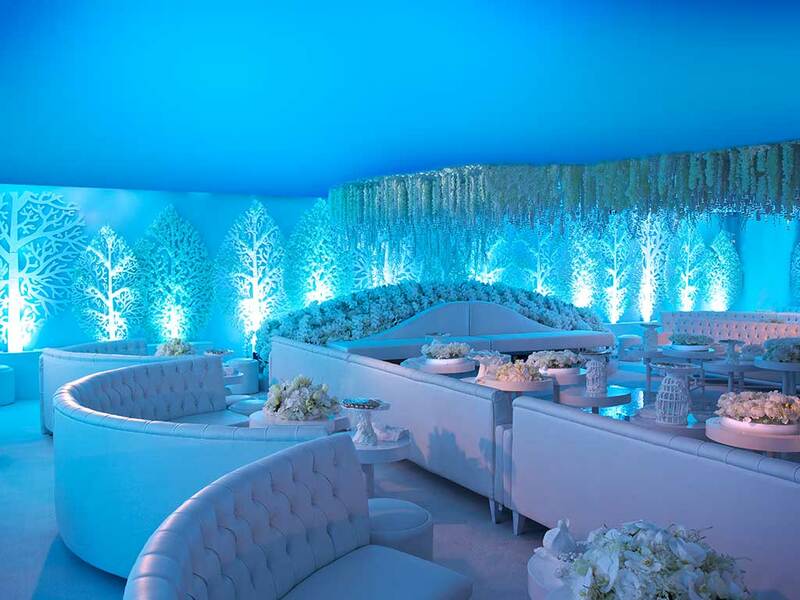 The white lounge with the phalaenopsis flowers in the background and those suspended from the ceiling created a dreamlike place for the bride to glow under the moonlight.